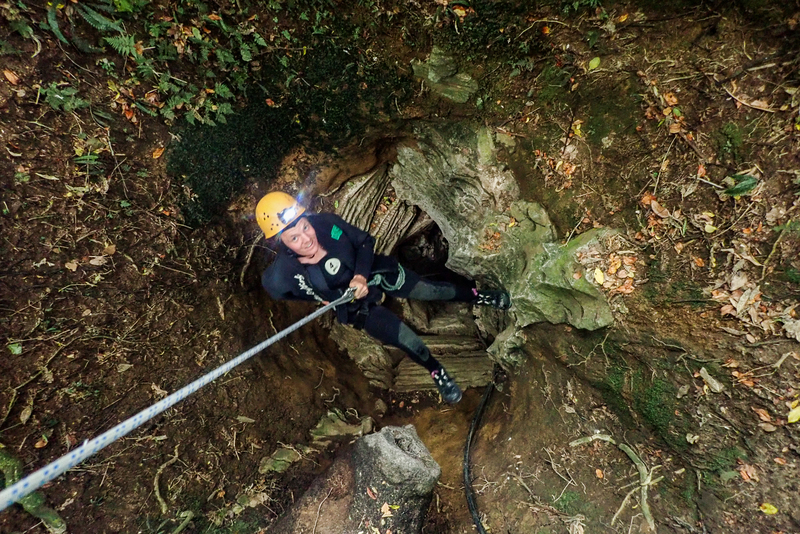 "Adrenaline rush when crawling in the caves of Waitomo"
Dark, narrow, cold and wet. And absolutely wonderful. I’m far below the surface and I absolutely love it, here I’m in my happy place. 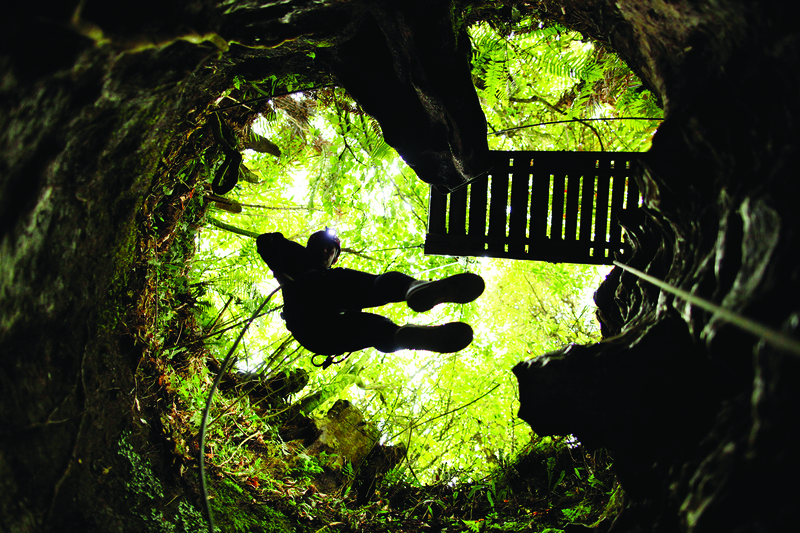 The world under ground in Waitomo is far from everyday life – that’s my cup of tea. This is where I push my boundaries and this is where I feel more alive than ever. I love that feeling, the feeling of really being alive. 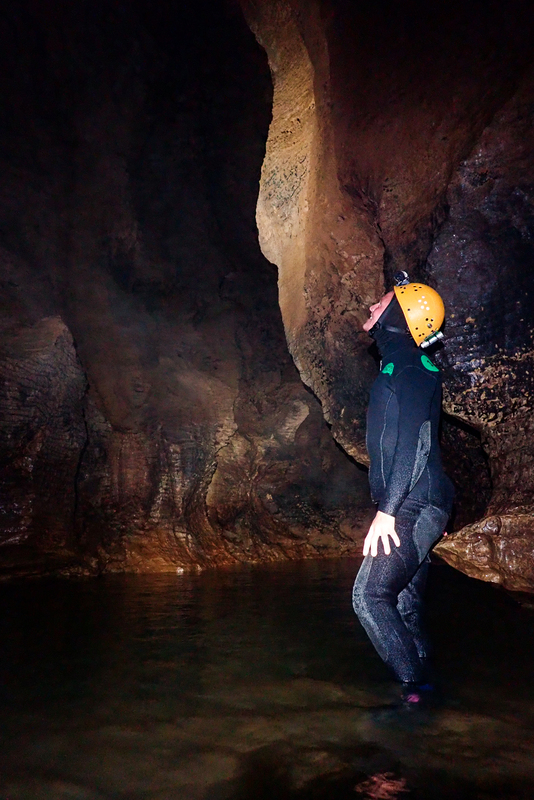 Photo: Black Abyss / The Legendary Blackwater Rafting Co.
Just under five hours we are underground today. 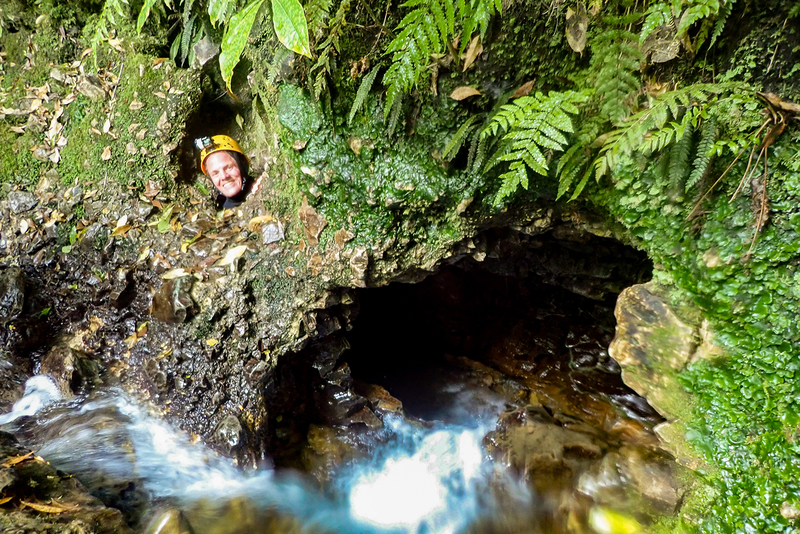 I booked the tour called ”Black Abyss” with The Legendary Blackwater Rafting Co. Our underground adventure takes place in the ”Ruakuri Cave” cave which is the longest cave in Waitomo. 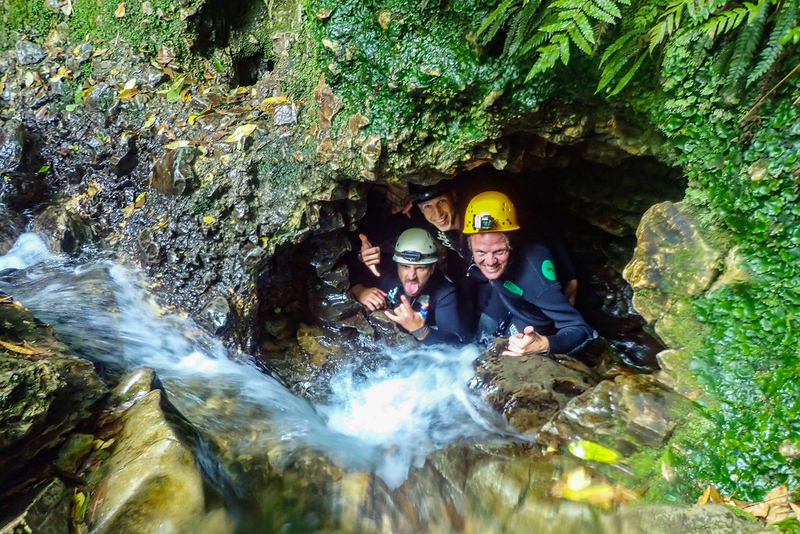 The name Waitomo comes from the two words of Maori: ”Wai” meaning water and ”Tomo” meaning hole. 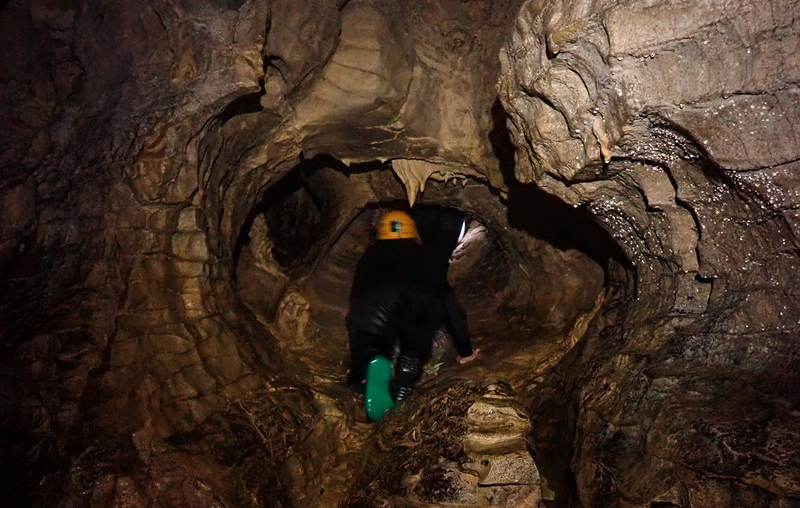 The caves in this part of New Zealand are created after millions of years of water flowing through the limestone rock that has carved large holes that are today the caves. 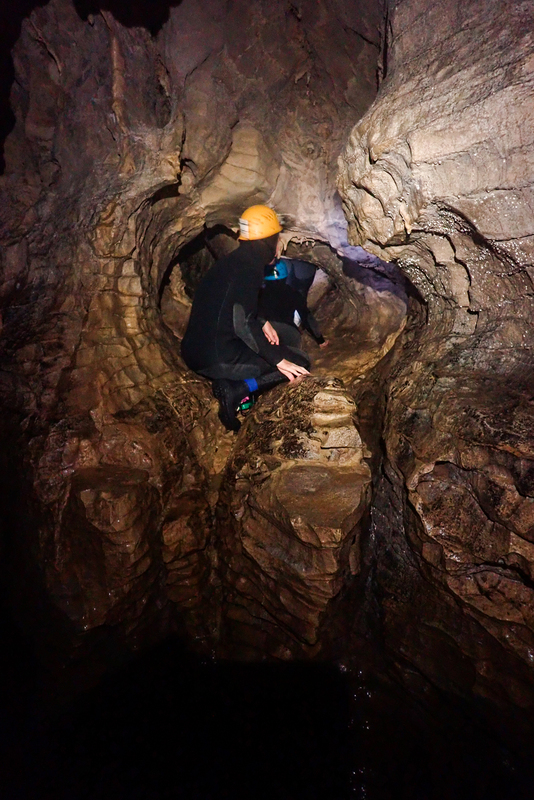 The trip is called ”Black Abyss” for a reason, that’s exactly how our adventure begins. 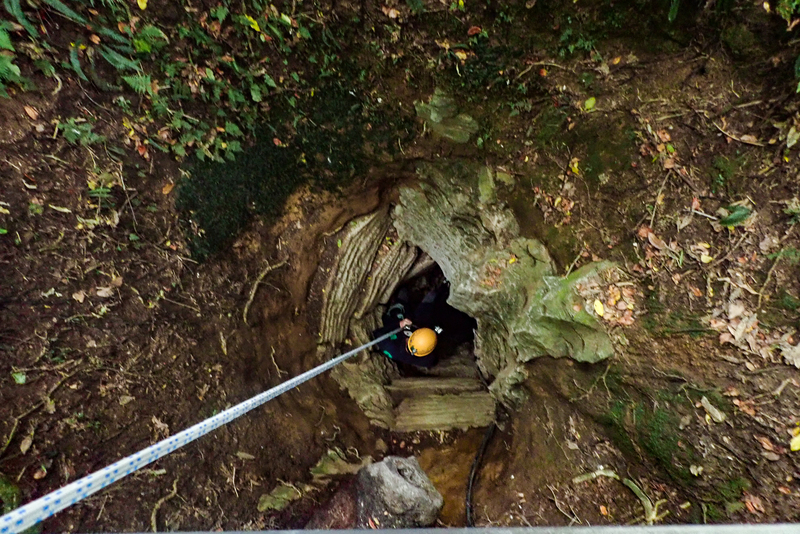 We are going to abseil down a 35 meter deep hole, straight down into the abyss. For half an hour above ground, we learn the techniques we need to know. Anyone can book this tour, no experience is needed and the guides are always in the background to make sure everything goes safely. 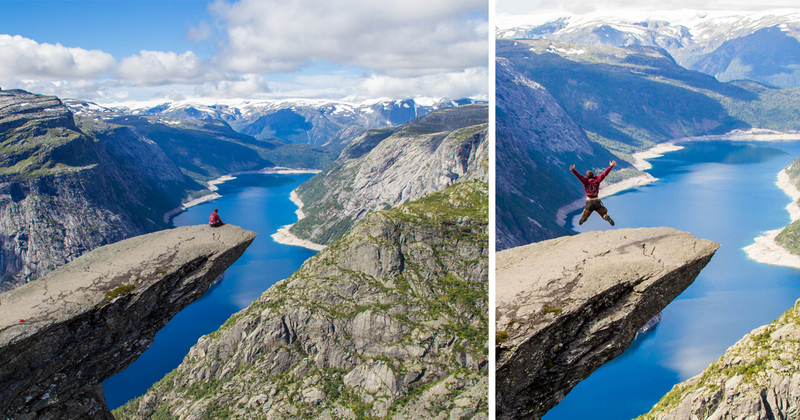 When I stand there on the edge of the hole I get a bit nervous. I don’t really know why, I have abseiled many times before and it’s something I like. But as soon as I start moving down the rope and down into the dark, the nervousness goes away and the adrenaline kicks in. I’m high on adrenaline for the next five hours. On the way down into the black abyss. 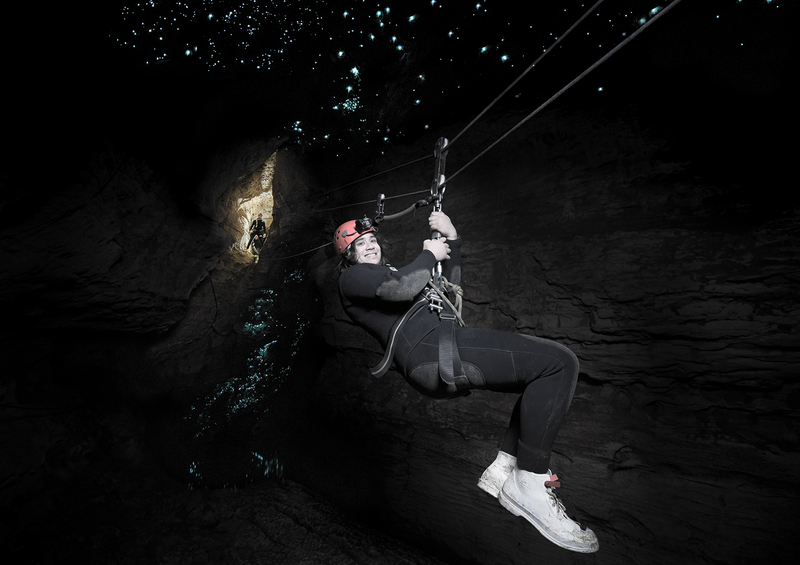 Photo: Black Abyss / The Legendary Blackwater Rafting Co.
We’re ziplining through the pitch black darkness, we’re tubing through the cave and are enjoying the view of the glow worms in the roof. 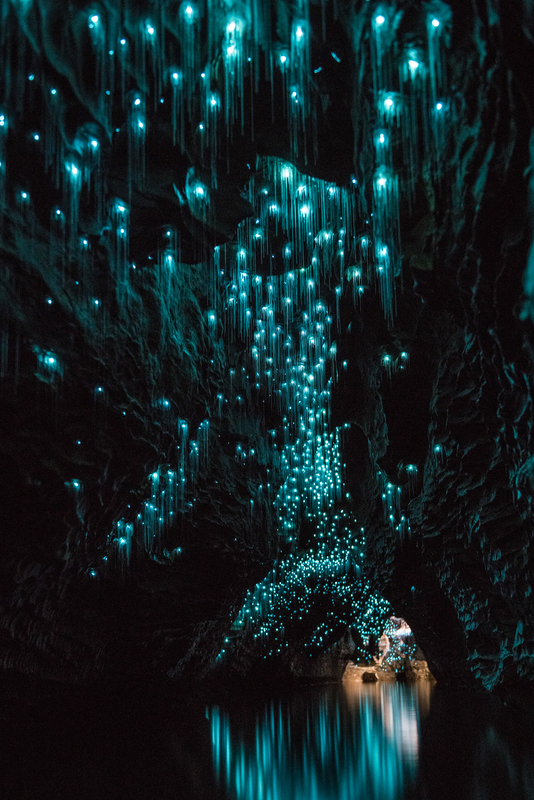 The blue light from these amazing worms puts a mysterious feeling to the whole journey. While we’re tubing through the dark, our guides are telling us interesting facts about these little animals that will never see the light of day. 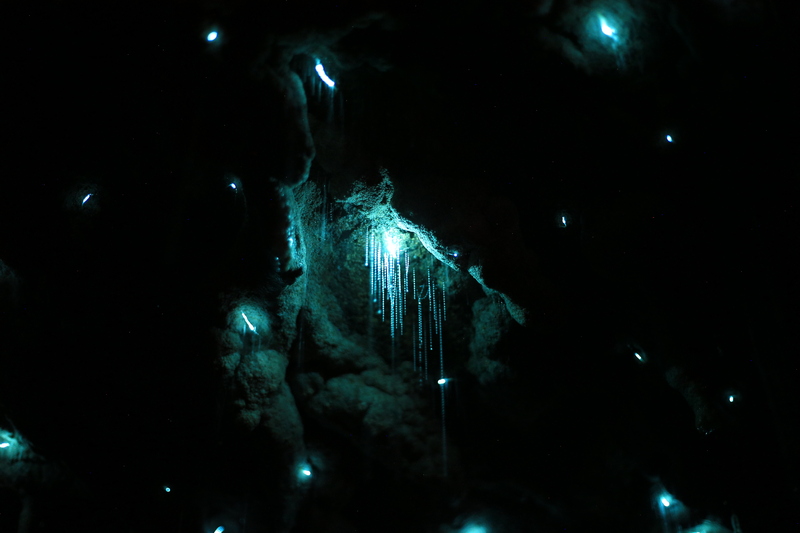 Ziplining under a roof full of glow worms. 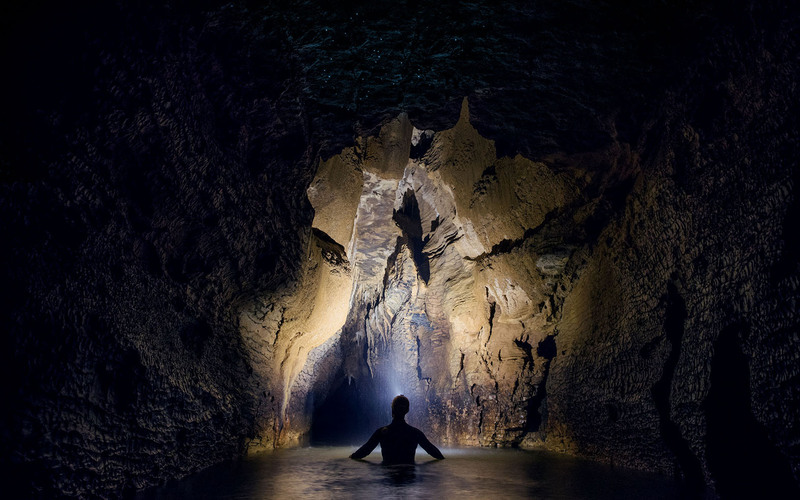 Photo: Black Abyss / The Legendary Blackwater Rafting Co. 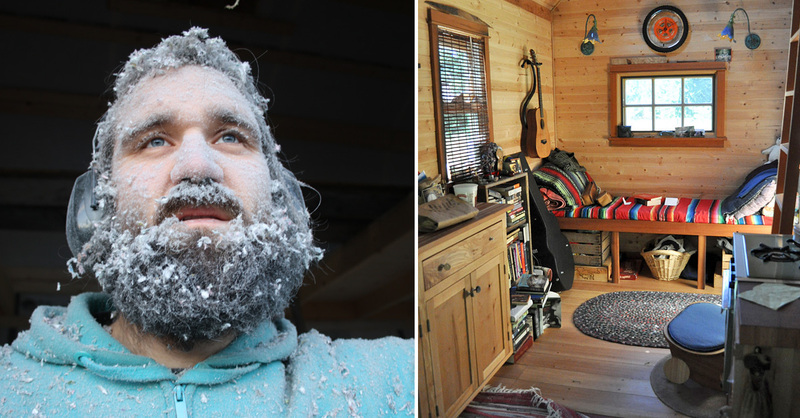 The other half of our adventure is the part that sends me to the place where I want to be. In to the midst of a crazy adventure. We squeeze ourselves through narrow holes that are hardly big enough, we climb up for waterfalls and crawl through a maze of tunnels. At one point we turn off our headlamps just to realize how dark the dark actually can be. Not a single light source is available and the darkness is constant. It’s obviously not even close to a dark night or a dark house. I can’t see my own hand when I hold it in front of my face. It is pitch black. That’s when I feel it. That absolute happiness. That happiness that is genuine. The happinews that only comes when I have been completely honest and true to myself and listened to my heart. I am cold, wet, tired and the wetsuit is uncomfortable. But most important of all: I’m happy. 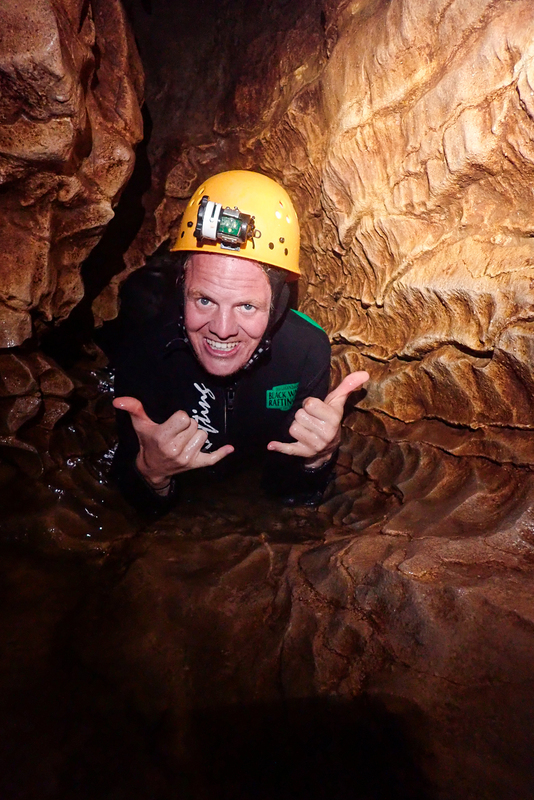 This cave adventure in Waitomo is a collaboration with The Legendary Blackwater Rafting Co. All I will write before and after the trip is my own opinions and I would never write something that I don’t stand for. All posts are written by me and are written based on how I experience it.